The vertical drop from summit to base is 853 ft. The average difference in altitude between base and summit of Ski Resorts in Italy is 3087 ft. Runs and slopes are therefore relatively short. The high point of the ski resort is located at an elevation of 6234 ft. The day pass at Colle di Joux is €19 making it one of the 15 cheapest ski Resorts in Italy. Colle di Joux is a relatively small ski resort in St. Vincent, Italy. 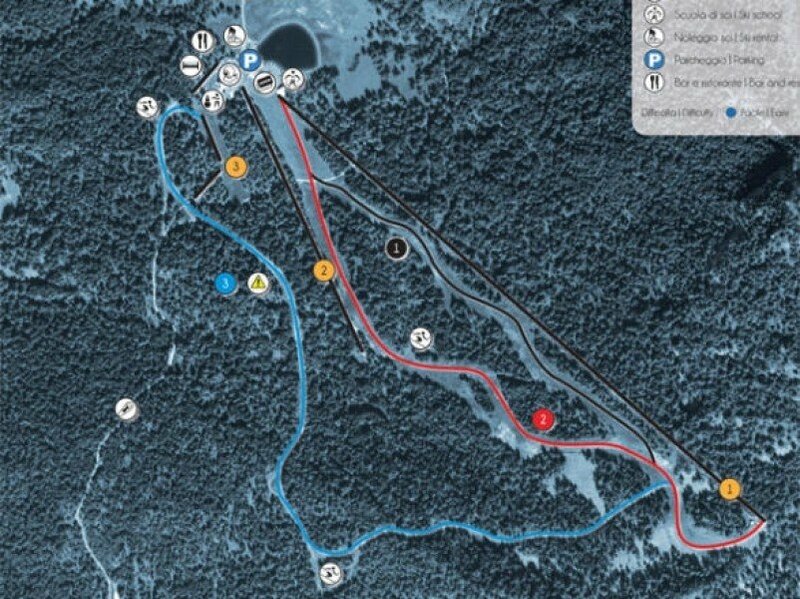 It features a total of 7km of slopes divided up between all the ability levels. The biggest part of the skiing area is made of beginners slopes and that makes this little resort a real treat for parents that want to teach thei children how to ski or have them take a class with the local ski school. The local ski school offers courses of all ability levels and also private lessons. The staff is friendly and motivated to teach you what they have been taught with the utmost care. The lifts are fast and safe and make the mountain really easy to get around.